Jockey pumps or sprinkler system pressure maintenance pumps are a low cost yet essential component of a fire pump sprinkler system. Typically the jockey pump is sized to 1% of the fire pumps rated flow. 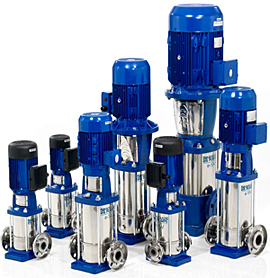 There are several types of jockey pumps each having their advantages to a given application.